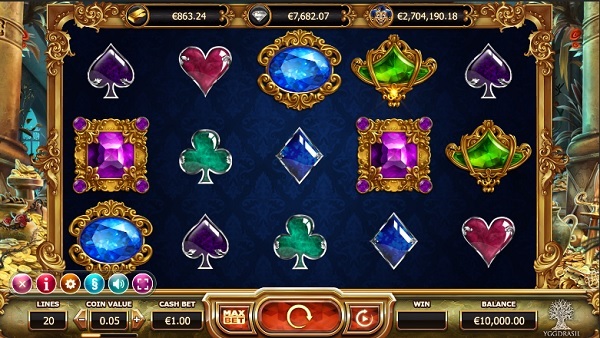 Empire Fortune Pokie has an opulent theme where the reels are filled with gemstones and jewels. The pokie is set behind a room filled with gold. There are pleasant graphics and animations that will keep you entertained through the entire gaming session. Empire Fortune pokie has been developed by Yggdrasil who is also developers of renowned titles like Golden Fish Tank, Draglings, Chibeasties, Big Blox, Bicicleta, Holmes and stolen stones, Doubles and dark joker among others. The machine game has 20 fixed lines and 5 reels. The betting amount for a spin ranges from $0.2 to $100. There are eight symbols on the game and a payline can be made by three symbols. Empire Fortune paylines pay one way. The features in this games will make you love it. Empire Fortune pokie with its three jackpots will be a darling to any online casino enthusiast. The scatter symbol on the game will activate the bonus game. Three or more of the scatters will trigger the free spins. Landing three scatters will earn you a multiplier of two and ten spins. Four scatter get you 20 spins and a multiplier of four. Five scatters will earn you 30 spins and 10 times multiplier. There is the jackpot wheel which has three tiers. Your reputation will grow as you continue to move from one level to another.. There is the hold feature that will hold the scatter or bonus symbols on the reels for the next spin. 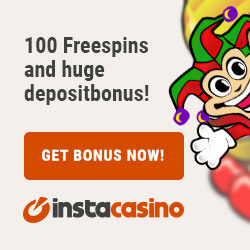 This feature will be of use when you have two scatters or two bonus symbols on the reels during the free spins round. The jackpots on Empire Fortune Pokie include Empire Fortune Jackpot, Diamond Jackpot and the Golden Jackpot which is part of the network on Joker Millions Jackpot pokie. There is the fireworks feature where the rockets fire hitting on the symbols rewarding you in a great way. Part of these rewards might be the mystery wins and the free spins. The fact that there are only 20 pay lines and the pokie only pays one way would make up the reasons why we do not like the machine game. The fact that there are plenty of opportunities to rewards from time to time, you will play the game and overlook the drawdowns. This is quite a unique one and it would be hard for you to come across any other pokies with such features. Empire Fortune is worth your time; set aside some money from your bankroll and you will be good to go. The many features and the three jackpots should be enough motivation to play the game hours on end. The return to player rate stands at 94% which is impressive and assures you of great returns on your bankroll.